The Arabic Club at the University of Kentucky is open to all students and features events and programs that promote the Arabic language and culture. The Club consists of a president, a treasurer, a secretary. The secretary position can be filled by up to three student officers. All three positions are elected at a meeting held during the second week of classes. Among the cultural and language events organized by The Arabic Club are: The Arabic Coffee Hour (ساعة صَفا), The Arabic Conversation Table, The Arabic Film Series, the Dearborn Field trip (free to students enrolled in the Arabic classes in the Spring semester), and a weekly study session. Students are encouraged to use every academic and non-academic opportunity to immerse themselves in Arabic to maximize your exposure to and facilitate understanding of the language and cultures of the diverse Arab world. The Chinese Language and Culture Club is a student-run organization and is open to all students with an interest in the Chinese language and culture regardless of their major or language proficiency level. Chinese Club provides: Opportunities to connect with other Chinese students outside the classroom, conversation hours on campus, at local restaurants or ice cream stores, field trips in parks and arboretums, lectures and discussions to promote the academic study of the Chinese language and cultural exchange between Chinese and American cultures. The UK Chinese Club is a collaborator with Project Pengyou. Everyone is welcome! Free and open to all students with an interest in the languages and cultures of the ancient world regardless of their major, the UK Classics Club strives to offer social and educational opportunities meant to raise awareness of Classical Studies and foster a greater sense of fellowship among students who share a passion for the cultural legacy of ancient Greece and Rome. The Club sponsors get-togethers with Classics faculty and graduate students (free food, folks, and always great conversations! ), musical performances (ever thought of how a modern poet-musician would perform an ancient poem? ), film screenings (do classical themes make for Hollywood flicks that are so bad that they’re good? ), public lectures, and other activities. Join us for an exhilarating time and find out how classics is still very much alive and relevant to this day. Visit the UK French Club website for more detailed information. You can also find us on Facebook and Twitter. We offer cultural and conversational activities, including conversation hours at local restaurants, film nights, game nights, and roundtable discussions. 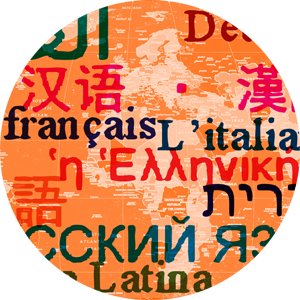 All activities are organized by graduate student teaching assistants and undergraduate students in the French section of UK's Modern & Classical Languages, Literatures & Cultures Department. Our semester schedule is posted here. For a list of French tutors, click here, and for a list of translators, click here. Visit our Facebook page ("University of Kentucky German Club"). Meetings for the German Club take place at the Max Kade German House. Come join us! Meet new people! Learn something new! Anyone interested in the German language or culture is welcome! If you love the German language, culture, people, or just want to hang out with people this is for you. Contact ukgermanclub@gmail.com for current meeting and event schedules. Opportunities to connect with other German students outside the classroom. Exposure to German popular culture and current events. Information about study abroad programs, much of the information coming straight from of students who have participated in study abroad. The University of Kentucky's Japanese Culture in Kentucky Society (JCIKS) is a student run organization aimed at providing students at the University of Kentucky the opportunity to engage in social activities and meetings exemplifying Japanese culture as seen in Kentucky. In addition, JCIKS aims to provide tutoring in the Japanese language for non-Japanese students, and English tutoring for students from Japan. JCIKS also exists to offer assistance and support for students from Japan studying at the University of Kentucky, with the goal of fostering a spirit of community among students from Japan and students interested in Japan. The UK Russian Club sponsors monthly Russian Tea, an event that provides Russian speakers of all levels the opportunity to speak Russian in an informal setting. Everyone is welcome! In addition, the Club sponsors film showings, lectures, and cultural events throughout the semester. The highlight of the Club's activities is RUSSIAN WEEK, which is held in the spring semester of each academic year. This week features traditional egg painting, films, and other activities. The week is capped off by a Russian dinner to which participants contribute some sweet or savory Russian dish. A wildly popular book auction is also held, and graduating Russian majors and minors are honored. In addition, the Club sponsors an annual t-shirt design competition that becomes the logo for that year's shirt. For more information contact Professor Ruder at cynthia.ruder@uky.edu or Anna Viktorovna at AnnaSky82@uky.edu. Check out our Facebook page as well--University of Kentucky Russian Club: https://www.facebook.com/groups/127713130687511/.